VIRTUAL SHOPPING ON DUBLIN’S GRAFTON ST.
Last Friday saw the installation of our Virtual Shopfront Shoe Store on Ireland’s most famous shopping street…Grafton Street. And it is one with a twist! 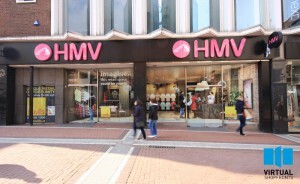 Clever product placement and QR Code technology are grabbing the attention of people and allowing them to scan the shoes that are on display to retrieve information about them and where they can be purchased. 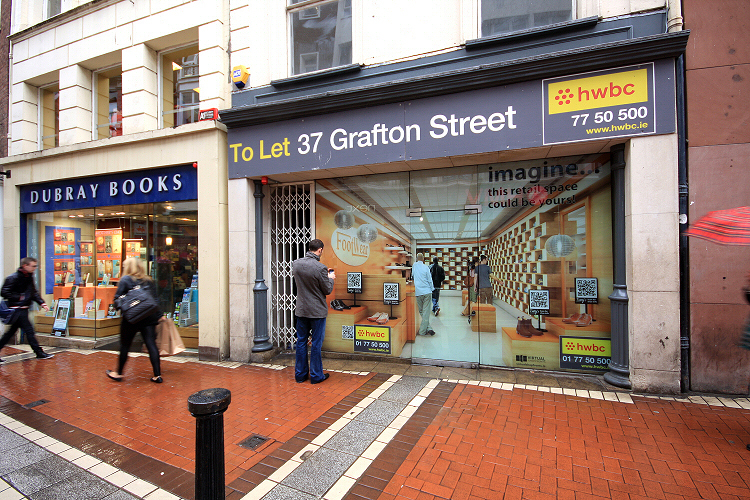 Over the past 9months Virtual Shopfronts have become the solution to the ever increasing problem of vacant retail units and we are delighted to illustrate their benefits on Ireland’s most famous high street. 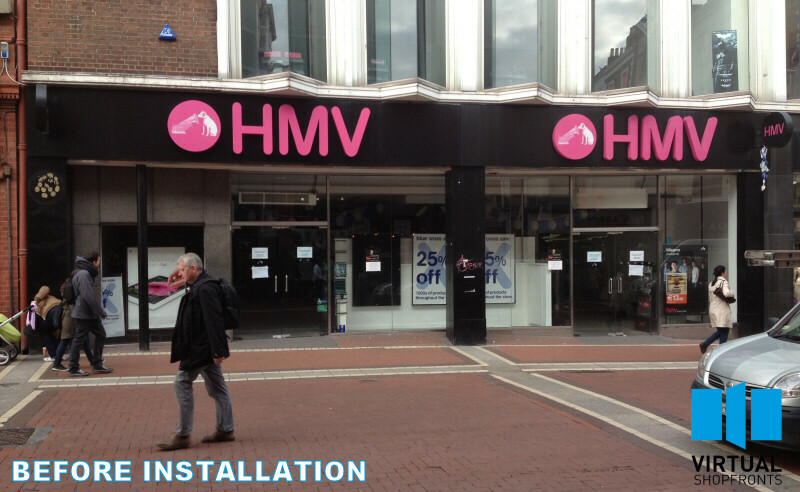 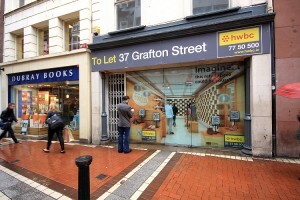 Not only has our Virtual Shopfront at #37 Grafton Street (right opposite HMV) made a positive impact on the high street it allows passersby to interact with it and get real information on the shoes being displayed. Through it’s look and interactivity footfall to the once invisible vacant retail unit is increasing. 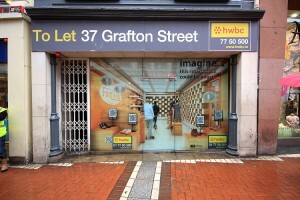 For this first Virtual Shopping experience Virtual Shopfronts approached a local Irish independent shoe designer. 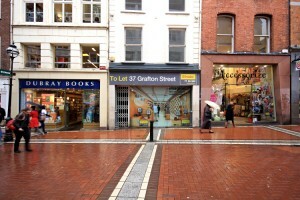 Tutty’s Handmade Shoes who are over 65 years old were an ideal candidate. 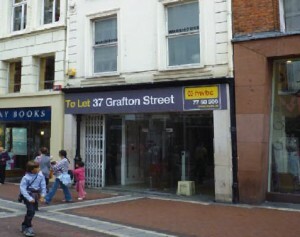 Located in Project 51 around the corner on South William Street they were intrigued and excited about the opportunity. 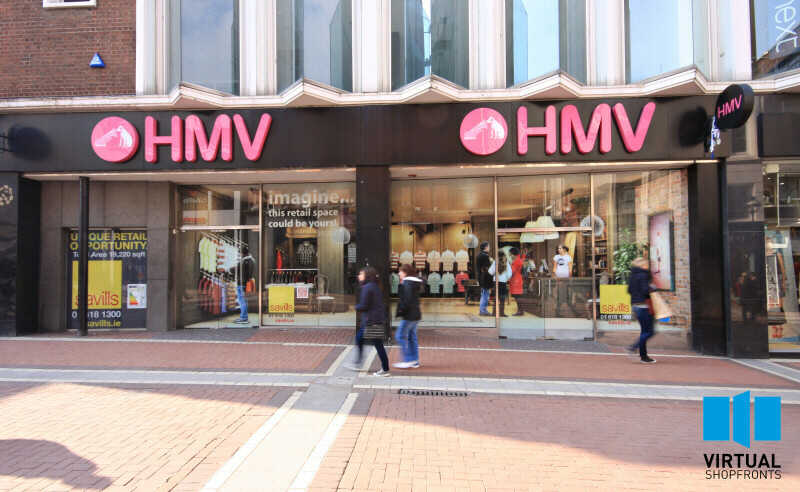 ‘Old World craft meets New Age technology’ is how it is being described and now Tutty’s have a presence on Ireland’s busiest high street, something that in reality would be prohibitive. 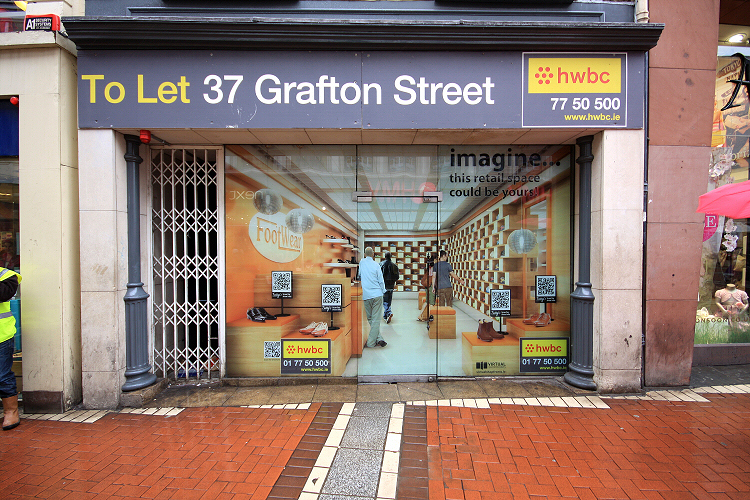 Now people on Grafton Street passing by the Virtual Shopfront can receive information on a number of their shoe designs by simply scanning the QR Codes.